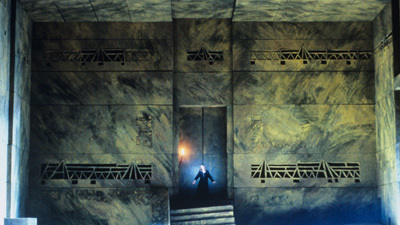 One of the great broadcasts in Met history, this performance of Strauss’s stunning one-act drama truly deserves the adjective “legendary.” The incomparable Birgit Nilsson delivers a searing portrayal of the title heroine, the Greek princess obsessed with avenging the murder of her father, Agamemnon. A passionate Leonie Rysanek is her sister, Chrysothemis, who longs for a normal life and begs Elektra to give up her fixation. 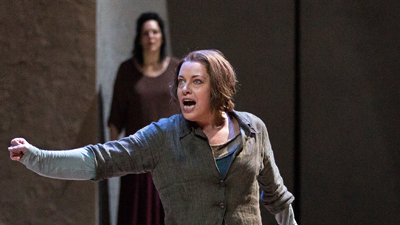 Thomas Stewart sings Orest, their brother, and Jean Madeira, in her final Met appearance, gives a chilling performance as Klytämnestra, Elektra’s mother. Strauss friend and protégé Karl Böhm conducts with unmatched authority and passion.